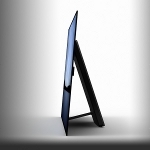 Sony has announced the availability of another model in the OLED A1 series, with a 77-inch diagonal, which complements the 55-inch and 65-inch TV-sets. It is based on Android TV, supports 4K/HDR and features the Acoustic Surface technology to play audio using the screen surface. 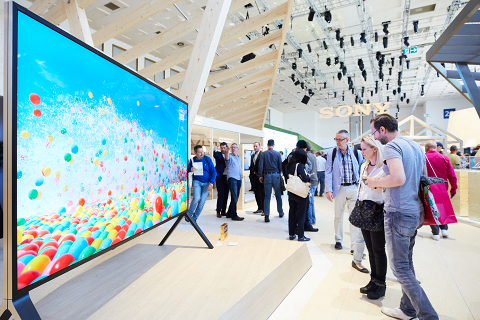 Sony is active in the LCD TV-set market and visitors had the opportunity to see the Bravia XE93 (4K/HDR) series, which are based on the same video processor as the A1 Series (X1 Extreme). The show setup included the UHD Blu-ray player UBP-X800 and the Dolby Atmos soundtrack HT-ST5000. The LF-S50G is Sony's wireless loudspeaker that supports Google Assistant technology. It gives access to a number of home automation devices and is based on two drivers with omnidirectional radiation characteristics. 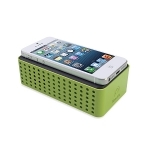 Supports Bluetooth/NFC for wireless streaming and offers a touch-free volume control. 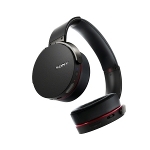 Sony promotes the XB950B1 as a wireless headphone for users that appreciate a good bass response above all. 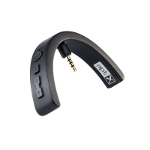 The headphones feature dome-shaped diaphragms and the user can adjust their sound character to suit their preferences using the Headphones Connect app. 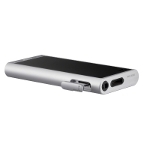 A fully charged battery is sufficient for up to 18 hours of playback. The company also showed the high-performance media player NW-ZX300, a device that supports 32/384 (FLAC/PCM) and DSD256 (DSD) files and is compatible with MQA. It features an S-Master HX amplifier, offers a single ended/balanced headphone output and can be used as a USB DAC. ...as well as the WF-1000X the new 1000X series in-ear headphones. 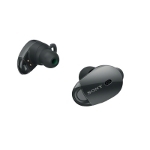 The headphones incorporate Sony's active external noise canceling system and come with a dedicated battery -charging carrying case. A full charge gives about 3 hours of playback. 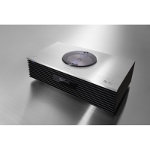 Teac's NR-7CD is the first device of a new product range named the Reference Series. 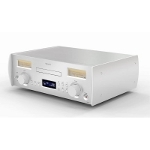 This is a combo that includes a CD player and a 2x60W integrated amplifier, as well as a DAC that supports up to 32/384 and DSD128 streaming, via a USB port. It also supports wireless streaming via Bluetooth, aptX/LDAC. Technics' SC-C70 was first introduced in Munich this year and is a complete sound system that belongs to their top-of-the-range series. The device features both JENO (jitter suppression) and LAPC (amplifier/loudspeaker compensation) technologies. 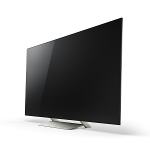 It is compatible with the DLNA standard and supports AirPlay. 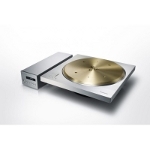 The company also unveiled a prototype of the SP-10R turntable, a product clearly inspired by the pro SP-10 (a version of which had been used by the BBC in the past). It will be a direct drive system with a heavy (7kg) platter which will be available in the summer of 2018. Some of its features are impressive, such as its W&F figure at 0.015% and its noise level, at -92dB. One of the strange ideas -that traditionally spring up at IFA- is the Touchplay Chillout, a wireless loudspeaker for smartphones whose connection is -most likely- inductive, without the need for a cable or a wireless pairing for a Bluetooth connection. Just place the smartphone on its surface and press play. Ultrasone's Sirius is an interesting idea, as long as you already own their headphones, and especially one of the Performance series. Simply plug it into the cable socket and turn your wired set into wireless (via Bluetooth/aptX). 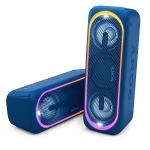 Sirius includes all the necessary hardware, including the amps, and offers a battery life up to 12 hours. 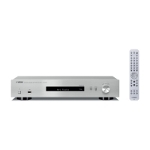 Yamaha introduced their new affordable network player, the NP-S303. The new device supports streaming up to 24/192 and DSD128 (PCM and DSD respectively), can be used with popular online services like Spotify, Napster, Tidal and Deezer, and, needless to say, supports the company's multiroom MusicCast technology.